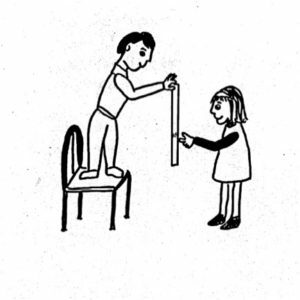 Have your friend hold a yardstick from the top so that it is up and down with the bottom several feet above the floor. Your friend may have to stand on a chair to do this. You hold your fingers opposite the 18-inch mark, but don’t touch the stick! Without warning your friend should let go of the yardstick, and you should try to catch it with your fingers.